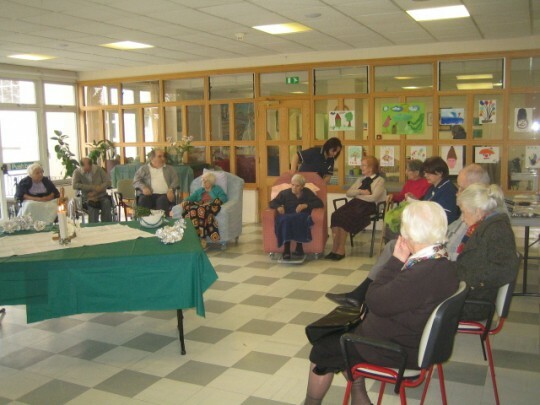 Established in 1986, initially mainly for the Italian community, Villa Scalabrini welcomes individuals from all cultures, religions and nationalities to our Roman Catholic care home in Shenley in Hertfordshire. Beautifully situated within 25 acres of attractive gardens, our accommodation is arranged in ‘village’ living areas with each person enjoying their own comfortable en-suite bedroom, communal lounge, dining room, kitchenette and assisted bathroom. Blessed Scalabrini’s vision and charism to support the emigrants and nurture the Catholic faith in them. The Scalabrini Fathers and their mission to continue and expand the charism to all emigrants, without exception, in this multicultural environment by offering them human and spiritual support. The many Italian emigrants, who have supported and cherished Villa Scalabrini from day one. They have offered part of their life to Villa Scalabrini’s cause and should never be forgotten. Villa Scalabrini foster lives at all times and strive to be a home where individuals live meaningful, fulfilling and dignified lives. a) Human: to provide outstanding care services which are safe, effective, holistic, person centred and compassionate to all those who seek our services. b) Spiritual: to provide spiritual services to those who seek and need God in this stage of their life. c) Socio-cultural: to create the right socio-cultural environment that fosters diversity and inclusion in a way that the culture of all individuals is respected and represented. Villa Scalabrini Residential Senior Living values are an expression of the way in which everyone working within us is expected to behave. Our experience has also shown us the importance of actively seeking out likeminded partners and stakeholders who we feel share our values. Care and compassion is at the heart of everything we do and are at Villa Scalabrini. We are committed to making sure each and every one is cared for in an effective, safe and fulfilling environment. We believe in the uniqueness of each individual. This is the grounds of our person-centred care based on the respect for each and every person and their history, their present circumstances and future aspirations. Enabling individuals to make choices relating to their health, care, lifestyle and wellbeing. We conduct all aspects of our operations with integrity and transparency in relation to each person living with us, their relatives, organisations and professionals involved in the care of the individuals entrusted to us. Villa Scalabrini takes your privacy seriously.